When you hear the words case study, what do they make you think of? In any business, it’s important to show potential customers how you can help them. Case studies are a perfect way to do that. 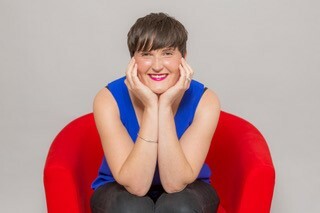 If you’re thinking you wouldn’t know the first place to start building a case study for your business, settle in to read this interview with Lisa Butterworth, who owns Colour Box Marketing. Lisa: I’m a marketing strategist; a remote marketing manager, taking care of all the things for my clients that you would expect an in-house marketing manager to do. I support my clients in identifying and understanding their ideal clients and ensuring that their product and/or service offering is perfect for that particular target market. I then plan and implement colourful marketing campaigns that speak to those prospective clients in a language they will engage with and in places where they like to hang out. This is all monitored and evaluated to deliver genuine returns. Lisa: June 2017. I had done around 15 years working in-house marketing management roles before taking a job account managing for a marketing agency. I’ve never looked back from the adventure of working in a variety of businesses and sectors, all at the same time. My craving for a better work/life balance saw me dive into The Colour Box. I certainly achieved that aim, plus so many other unforeseen benefits – including the completely liberating autonomy of self-employment. I’m having an exhilarating time of it! Minal: Tell us the difference between a case study and a testimonial. Lisa: A testimonial is a brief ‘pat on the back’ of praise in a customer’s own words; a direct quote based on your sterling work. A case study is a much more detailed story about the customer’s experience with you and a good one will combine detailed narrative with testimonials and killer statistics. Minal: What do you think case studies do for businesses? Lisa: Gosh, there are so many benefits! Detailed client case studies are a form of content that can put your prospects firmly into your clients’ shoes to relate to their problems and understand how your offering provided a solution far superior to anything your competitors could deliver. Case studies are good for making your clients feel good about their purchase decisions and they are also particularly effective when placed deeper down in the sales funnel, geared towards building credibility and trust with your prospects. Ideal when your prospect is a little warmer; actively comparing you to your competition, seeking endorsements and craving much more detail. This is the time to nurture their confidence in you. Case studies can also provide you with high-quality client feedback (good or bad); including new selling points or potential for improvements. Thus; retention, upselling, continuous improvement and product development often tend to occur with the focus on client needs, your working relationship and benefits you deliver above and beyond your competition. Case studies are good for making your clients feel good about their purchase decisions. Minal: How would you recommend people select the customers they want to feature? Lisa: Take a look at your client base and consider what it is that you want to communicate via your case study. You might want to promote a particular benefit or way of using of your product or service, or show how it works within a particular client sector or setting. From that shortlist, seek-out a client who knows your product or service inside-out, and can speak about it in a way that makes sense to your ideal prospects. Those who have seen exceptional results from your offering will be the priority here as they will be your biggest fans. This is especially the case if they experienced an unexpected outcome that totally delighted them, or if they had a bad experience with a competitor beforehand. Minal: What’s the structure that you recommend people follow? Lisa: As a rough guide, I’d propose the following broad sections but any approach you go with should always focus on engaging your ideal prospects with relevant marketing messages. Introduce the client’s business. This should be done in terms that your prospects will relate to in order to generate that ‘this client is just like me’ vibe. Explain the challenges that the client struggled with before purchasing from you. This is where you clarify precise needs for your solution by referencing one or several pain points that your prospect is likely to be experiencing. Describe the client’s process for sourcing a solution (how did they choose you?) This is an opportunity to guide your prospects by sharing the client’s buying process. Explain what was important to them, what was involved in their decision-making process and how you beat any competition. Demonstrate your unique selling points and enforce how straight-forward it is to deal with your business. This section is especially important if you are promoting a particularly complex or high-value offering and you need to earn a prospect’s trust and confidence. Explain how the client is using your product or services. What are the most critical features and have there been any unexpected benefits? At this stage, you might be discovering brand new benefits and selling points. At the same time, you are presenting how your offering works in practice, which is especially handy if your product can be used in a variety of different ways or for several purposes. Finally, summarise how the client has benefitted from working with you. This is the big return on investment piece – arguably the most important element of your case study. Deliver impressive statistics and data to evidence deliverables against your client’s objectives – and possibly more; for example, can you quantify how your offering improved efficiency for your client, delivered sales leads or reduced costs? Summarise how the client has benefitted from working with you. This is the big return on investment piece – arguably the most important element of your case study. Minal: Is it worth the money to get a professionally-designed case study? Or can you just publish it on your website? Lisa: A case study published on a website is not to be sniffed at, but distributing it more widely will maximise your investment and effort. A lot can be done in-house and at low cost to purpose your case study gold for distribution via email, social media and print, for example. A designer will have the expertise to lend a wow factor and graphically emphasise your key messages whilst also promoting your brand in a way that is consistent and professional; so I would say that design is definitely a worthwhile investment. Minal: What if you’re not confident in writing the case study. How would you pick someone to do it for you? Lisa: Provided you have your client’s responses and permissions then a professional copywriter will be able to work with a brief that sets out your objectives, key marketing messages and any stipulations you need to make concerning your branding (tone of voice, for example). Ask to see examples of similar work at the outset as all good copywriters will have a portfolio to share with you. Not confident in obtaining a case study? A marketer can help you with that process too, managing the entire process from start to finish and advising you on the best ways to maximise your brand new content once it’s complete and approved. Minal: Once you have it, how can you use the case study to show case your business? Lisa: I’ve touched on this a little bit already, but it’s worth a step back to look at your overall marketing plan and see how your case study content can fit into any existing campaigns. At the very least, your case study needs to be featured on your website. You might also distribute it via social media and encourage your team, clients and other supporters to share it for you as widely as possible. 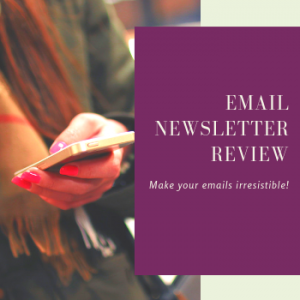 Email is a very powerful option and you might repurpose it for your e-newsletter. Also consider producing printed copies to share at point-of-sale (if you own a retail business, for example) and at networking meetings, events and exhibitions. I could go on! Minal: I’m all for repurposing content. Can you give us examples of how you can repurpose a case study? Chop the content into bite-size chunks (key statistics and testimonials) and share it via social media and in sales presentations. Ask your client to be filmed at the interview stage and produce a video. Take out the key messages and statistics to create an infographic. Write blog posts on key questions that you’ve addressed, featuring a mix of stats, tips and examples. Finish with a call to action and a link to your case study online. Distribute it in a press release or an online news release via a provider like NewsWire, or use it to pitch a bylined article to a trade publication. (A client success story can make your article a lot more attractive to a publication). Repurpose by chopping the content into bite-size chunks (key statistics and testimonials) and share it via social media and in sales presentations. Minal: How often should you aim to produce case studies? Lisa: It’s worth having a strategy in mind rather than simply pursing a case study from every client you encounter. Case studies are likely to form part of a wider content plan that will feature a variety of different items to serve a selection of marketing purposes. Your focus might cover a variety of client challenges addressed, sectors served and/or products or services delivered, so you might decide to produce a case study whenever a client story fits with criteria along those lines. As a rule, though, your approach should never stray from serving your overall marketing strategy and business objectives. So, now you know why case studies are important and why you should think about creating your own. Where will you start? Tell me in the comments below!